A blockbuster novel that takes you behind the scenes of the filming of Gone with the Wind, while turning the spotlight on the passionate romance between its dashing leading man, Clark Gable, and the blithe, free-spirited actress Carole Lombard. 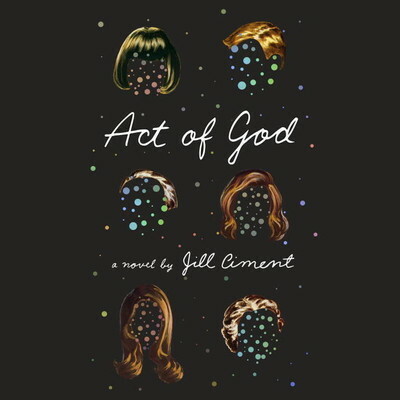 Part horror story, part screwball comedy, Jill Ciment’s brilliant suspense novel looks at what happens when our lives—so seemingly set and ordered yet so precariously balanced—break down in the wake of calamity. 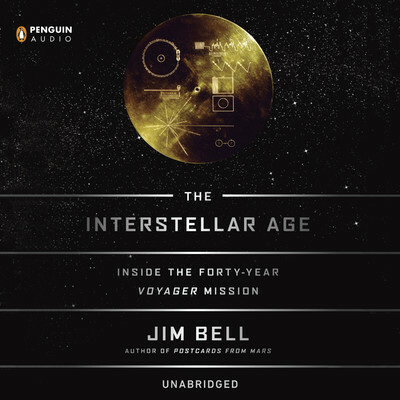 The story of the men and women who drove the Voyager spacecraft mission— told by a scientist who was there from the beginning. 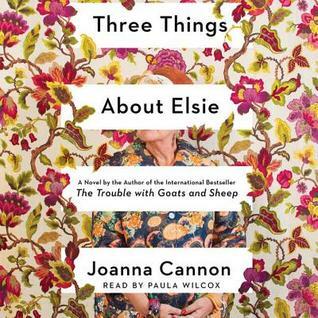 I included Ciments title in my round up of Books That Caught My Eye, March 2015 – lucky you receiving a copy for review, and in audio no less, sounds excellent! 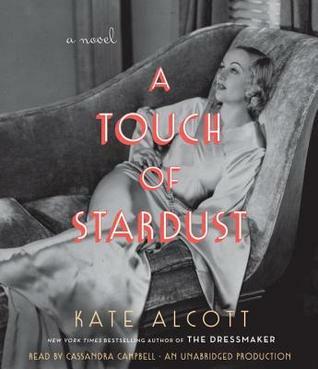 A Touch of Stardust sounds like a good listen – will look for it on Audible. 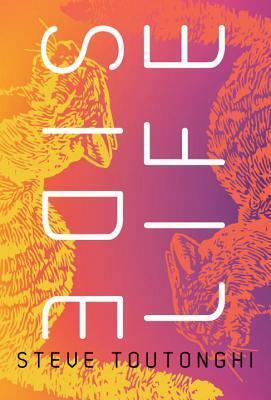 I’m reading “Stardust” now and enjoying it. Hope the audio is a good one. I’m curious about the follow-up to Harold Fry. I liked that one quite a bit. Anxious to try Act of God — enjoy all. You’ve got plenty of audios for the warm weather that’s got to come soon!! Looks like you had a great week. Enjoy your audios! These all look good! 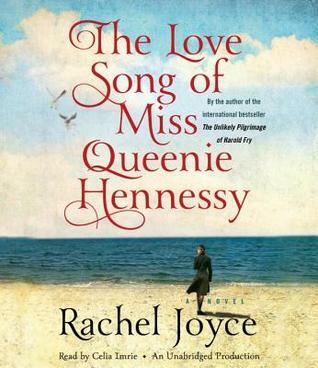 I have already been ogling A Touch of Stardust…and now I’m curious about The Love Song of Miss Queenie Hennessy. Enjoy! I’ve only read 2 of Larson’s books – Devil in the White City, which was good. And In the Garden of Beasts, which was excellent. 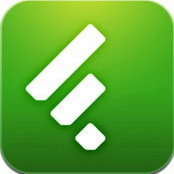 As for one of your downloads, DEAD WAKE: I read this. When you read it, read all of it. That is, even if you are in a hurry, don’t skip. 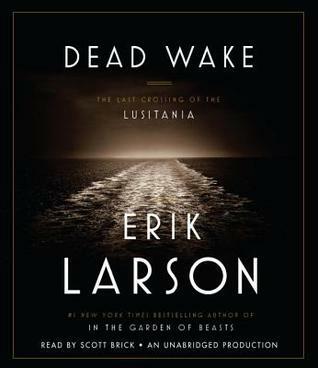 Even if you suspect that 1) some paragraphs exist simply because Larson didn’t want to waste a single bit of the research he did for DEAD WAKE and 2) those paragraphs won’t contribute to your overall understanding of the book, don’t skiip. Your suspicions would be wrong. I had those suspicions but, luckily, just in case, didn’t skip. I was ashamed to say but no longer am because Larson, himself, admits the same: I always thought that the U.S. entered World War I immediately after the Germans torpedoed and sank the “Lusitania.” Larson lays out the truth, beginning with background. That can form the basis for educated guesses about what happened later and why. For me, the biggest mysteries of this story are what the English knew ahead of time, why they didn’t notify the captain of the “Lusitania” when they knew it, and why they continued to lie about it. Was this an effort to involve the U.S. in this war in Europe? Or were the English trying to mislead the Germans? I came to a conclusion. But that’s because I read it all. Nice to see another book by Rachel Joyce. Dead Wake should be good too. I like Erik Larson.